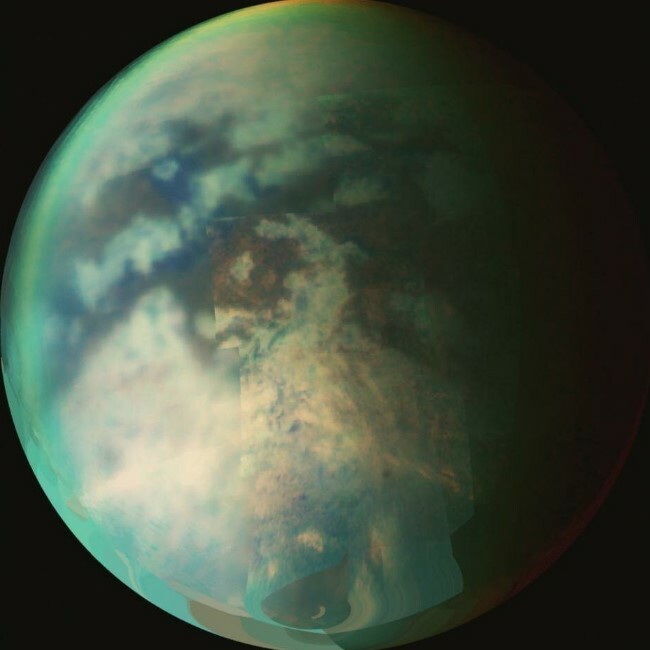 New study has revealed that on Saturn largest moon there was an evidence of rainfall on the North Pole of Titan. The rainfall would be the first sign of the start of a summer season in the moon’s northern hemisphere. Scientists have noticed a reflective feature near Saturn largest moon of Titan’s North Pole on an image that was taken June 7, 2016. According to phys.org “Dhingra and her colleagues identified a reflective feature near Titan’s north pole on an image taken June 7, 2016, by Cassini’s near-infrared instrument, the Visual and Infrared Mapping Spectrometer”. This reflective feature covered approximately 46,332 square miles, roughly half the size of the Great Lakes, and did not appear on images from previous and subsequent Cassini passes. “It’s like looking at a sunlit wet sidewalk,” Dhingra said. This reflective surface represents the first observations of summer rainfall on the moon’s northern hemisphere.